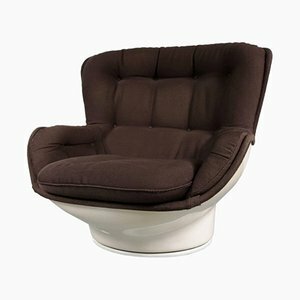 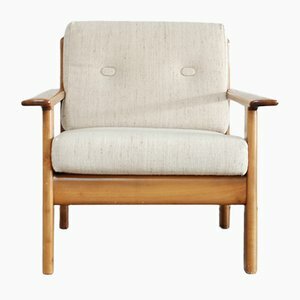 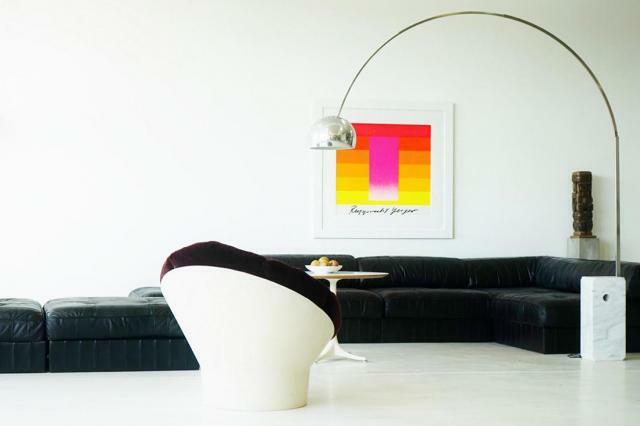 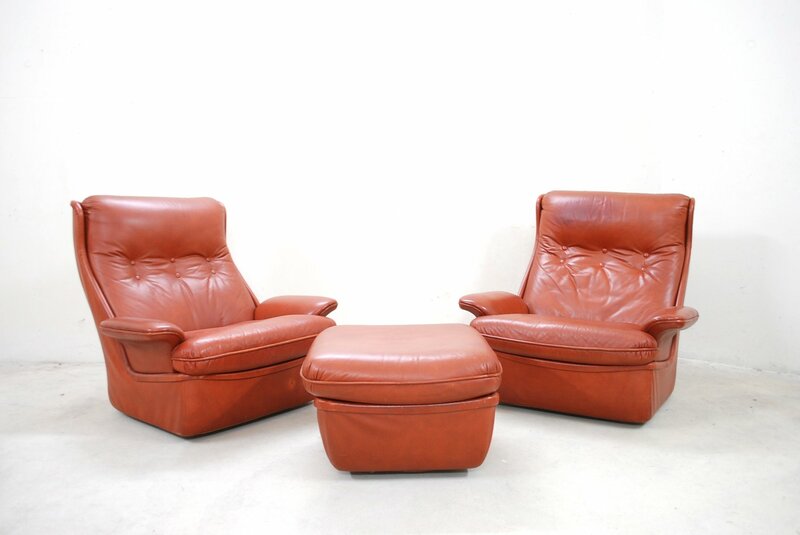 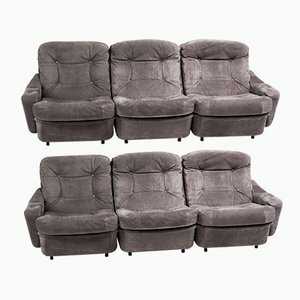 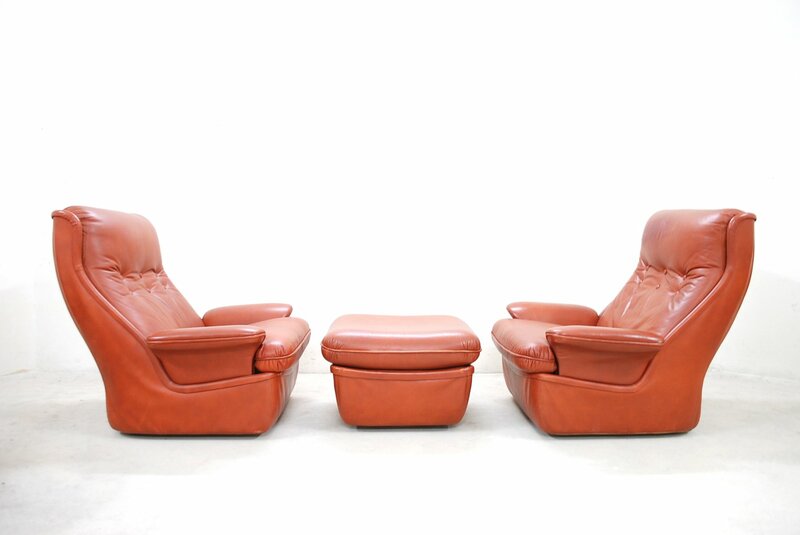 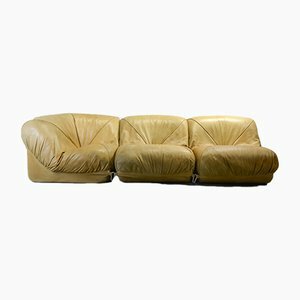 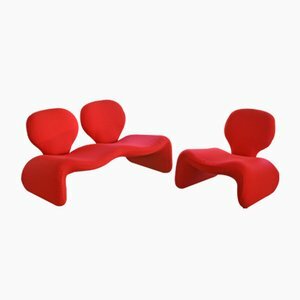 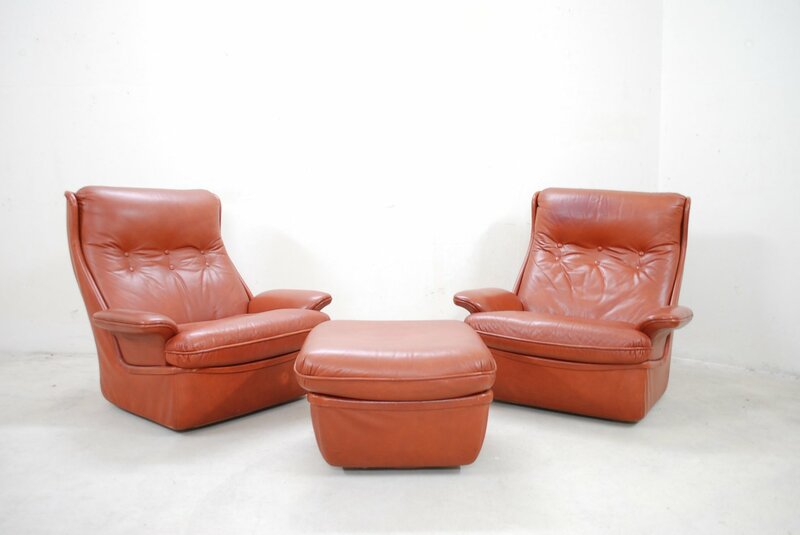 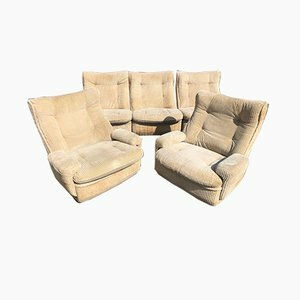 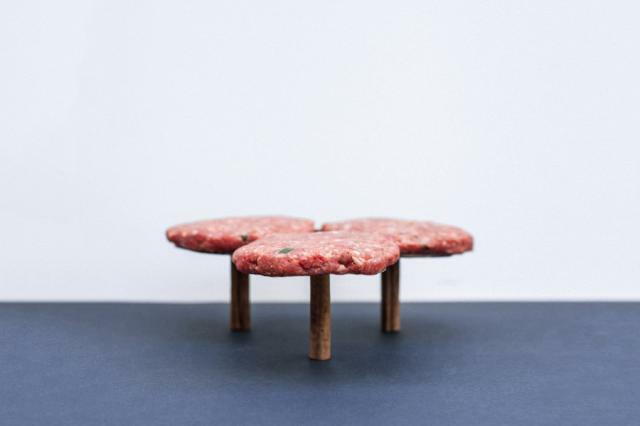 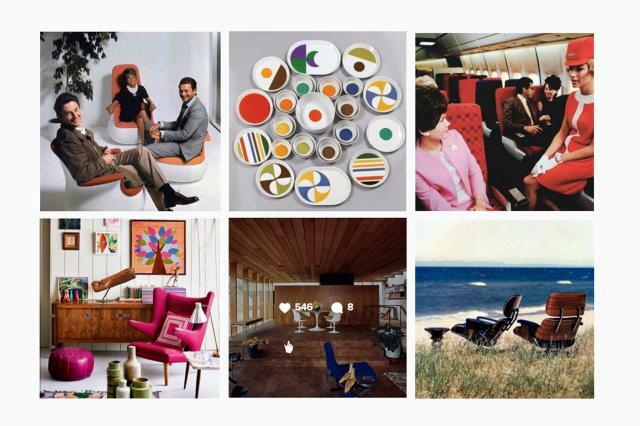 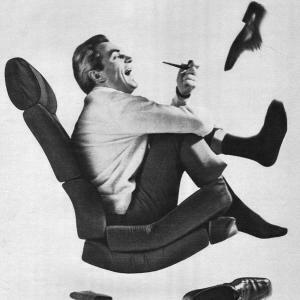 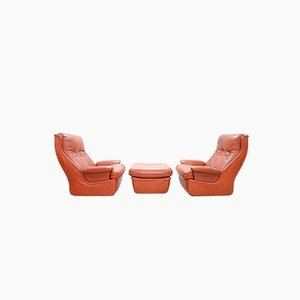 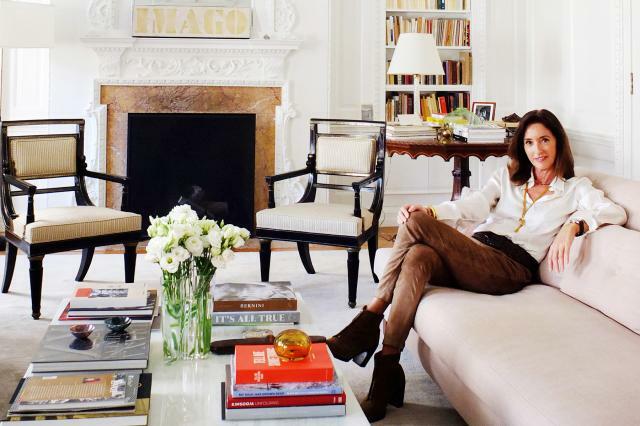 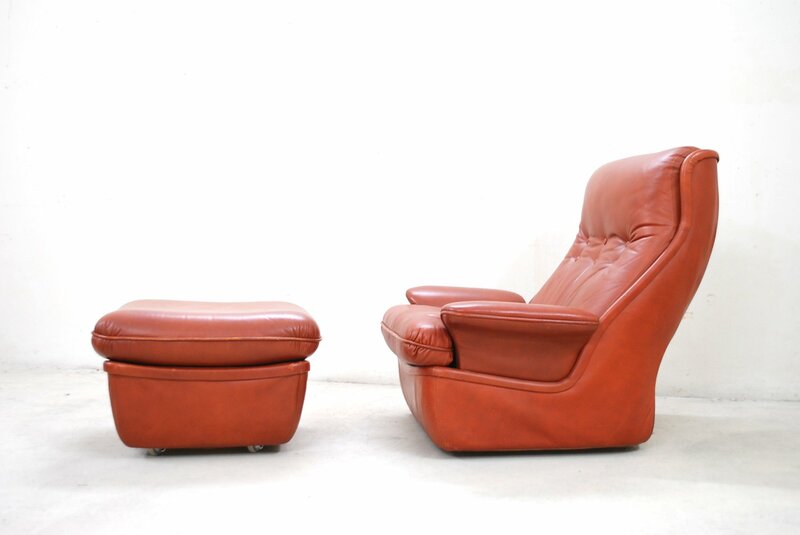 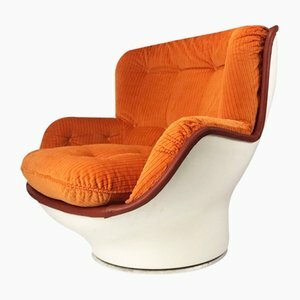 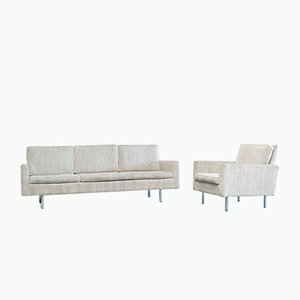 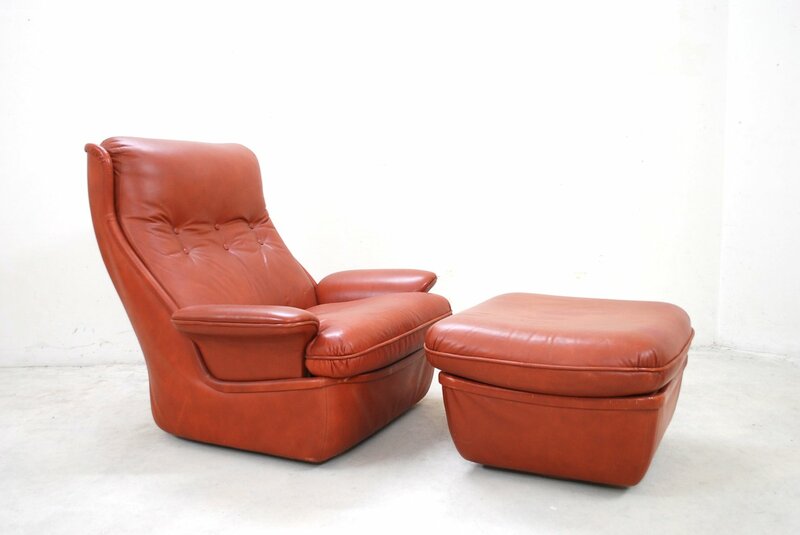 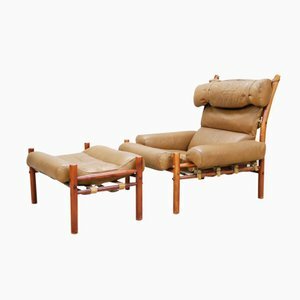 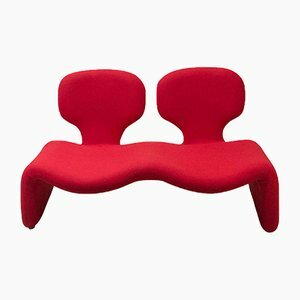 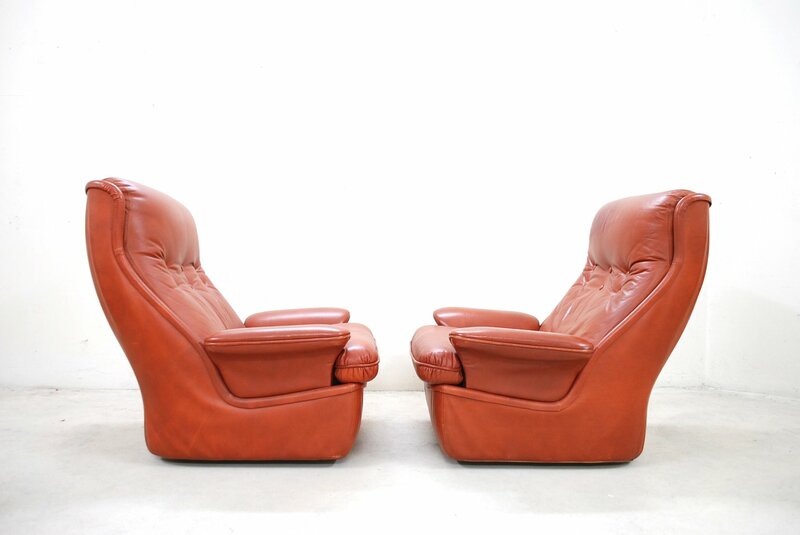 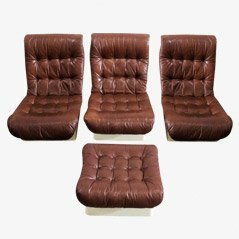 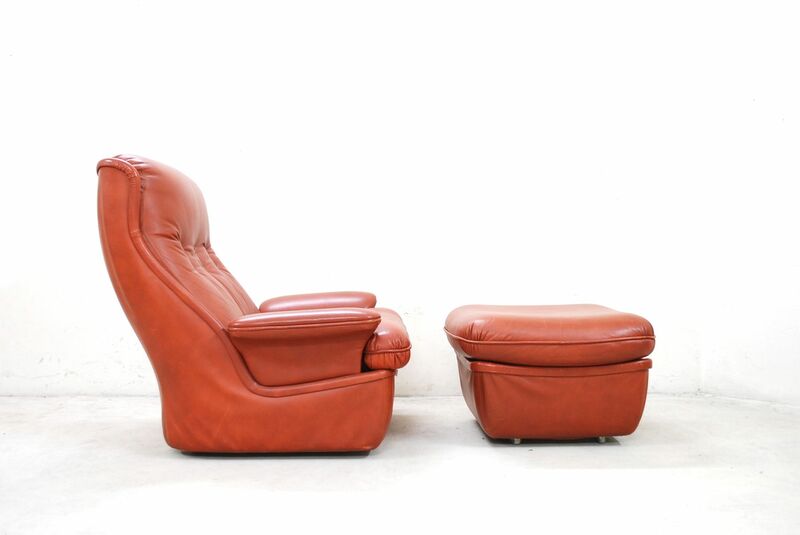 This Airborne living room set consists of two lounge chairs and an ottoman. 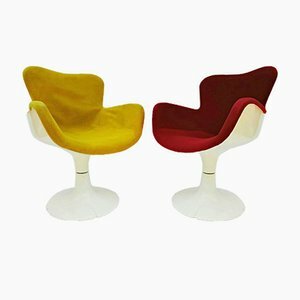 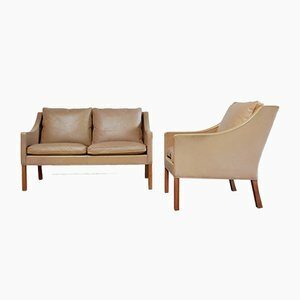 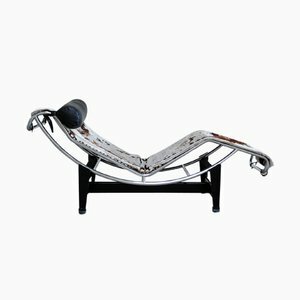 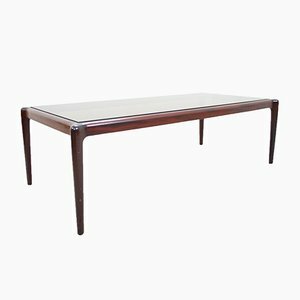 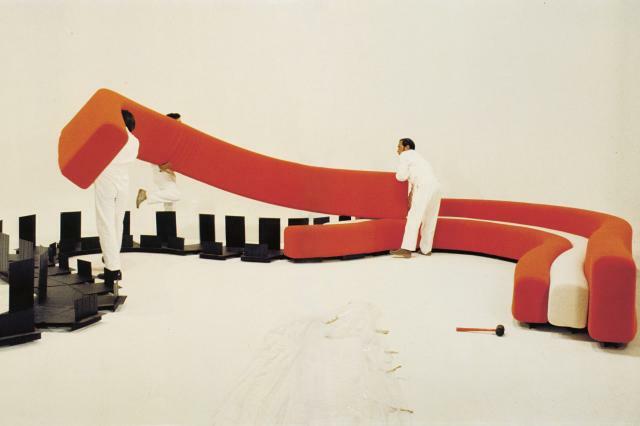 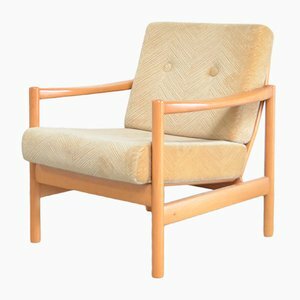 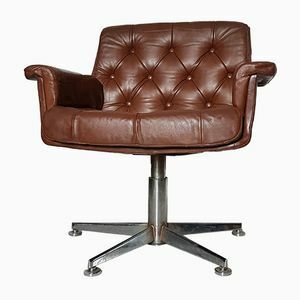 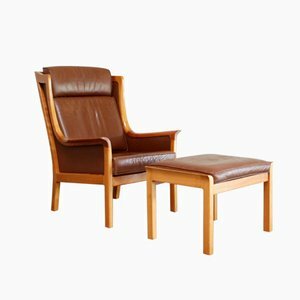 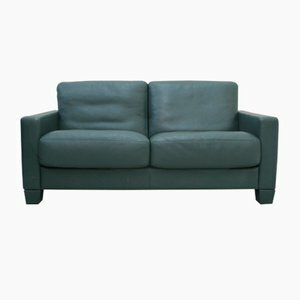 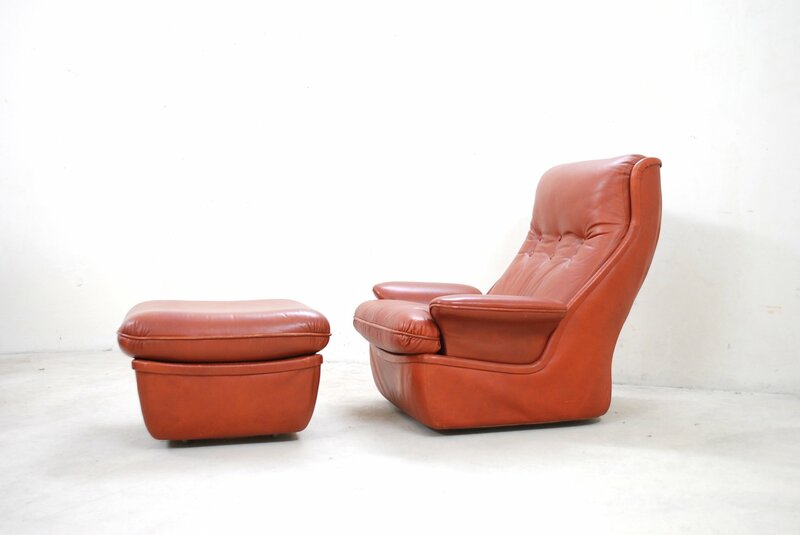 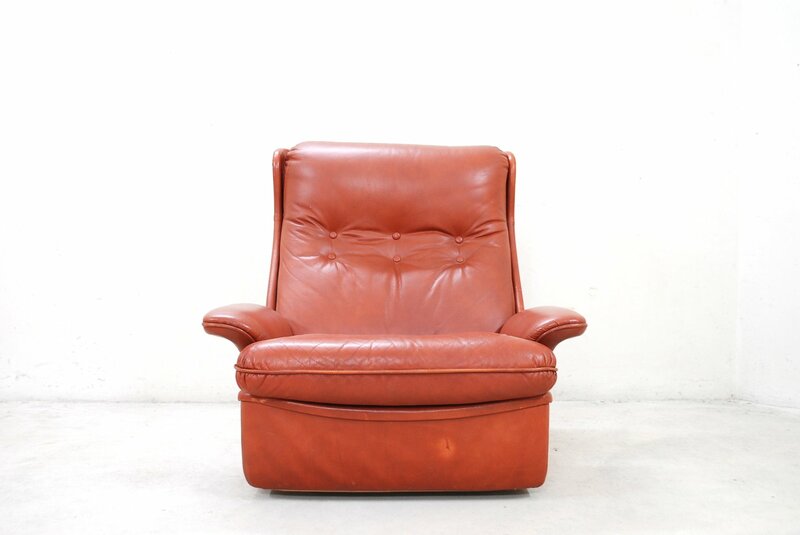 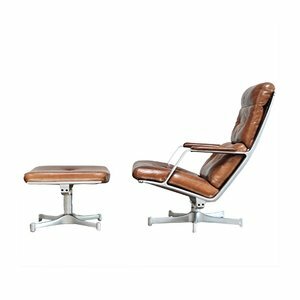 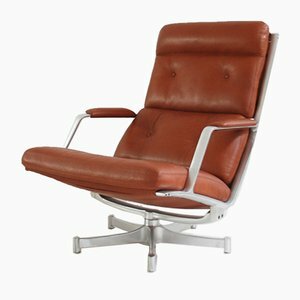 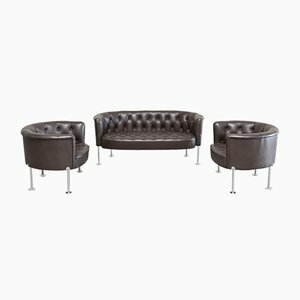 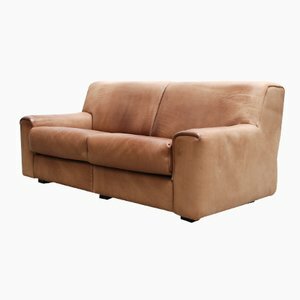 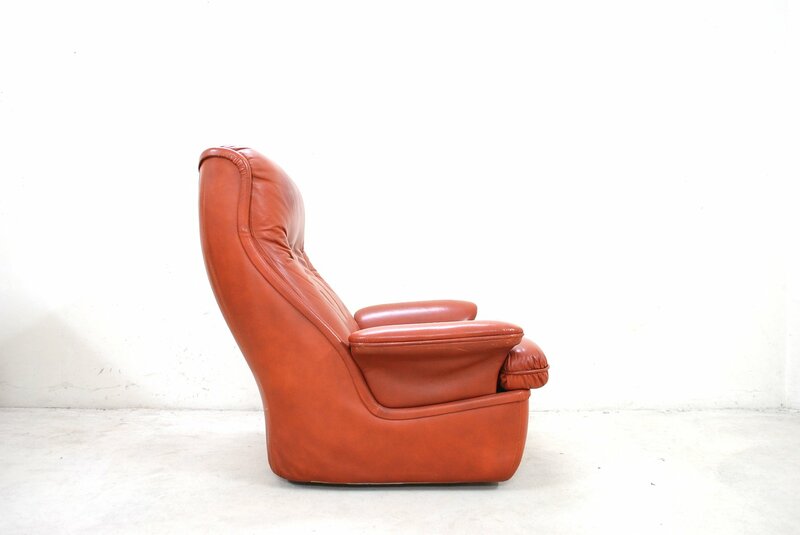 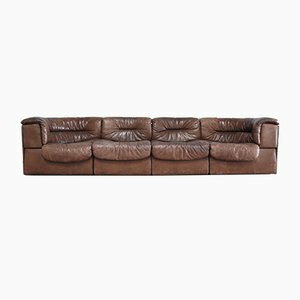 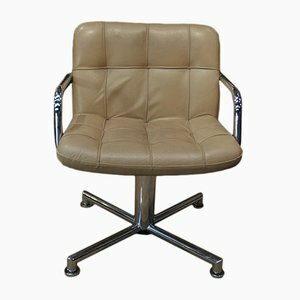 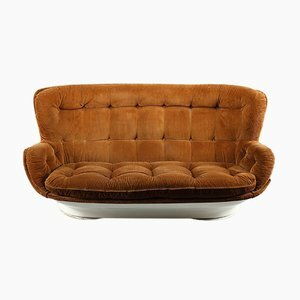 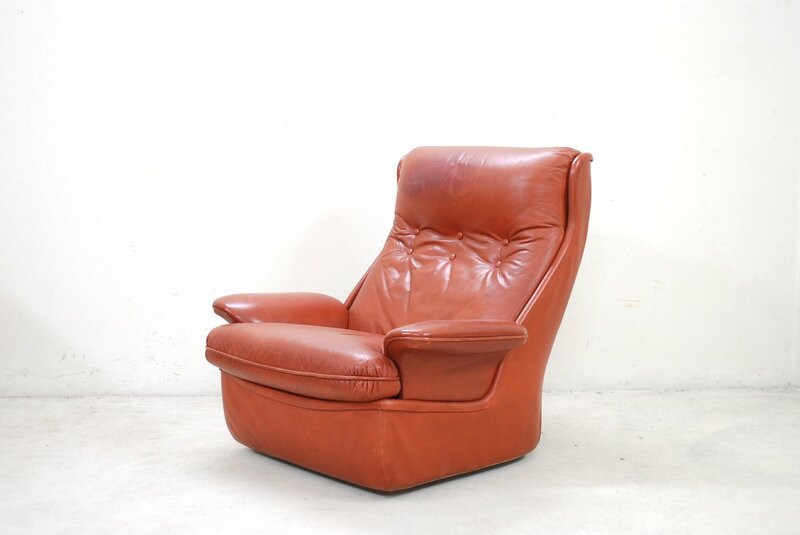 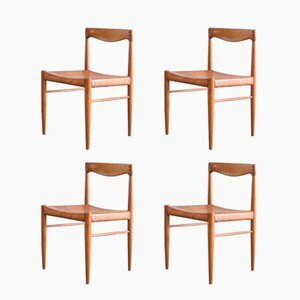 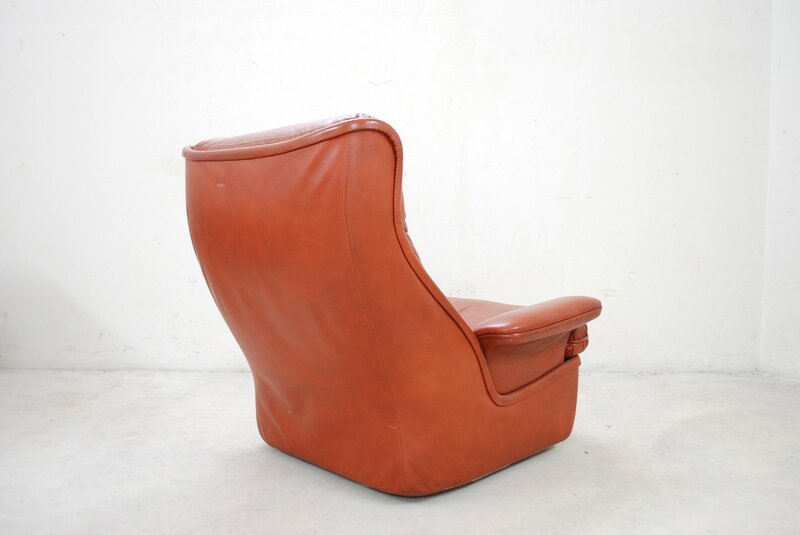 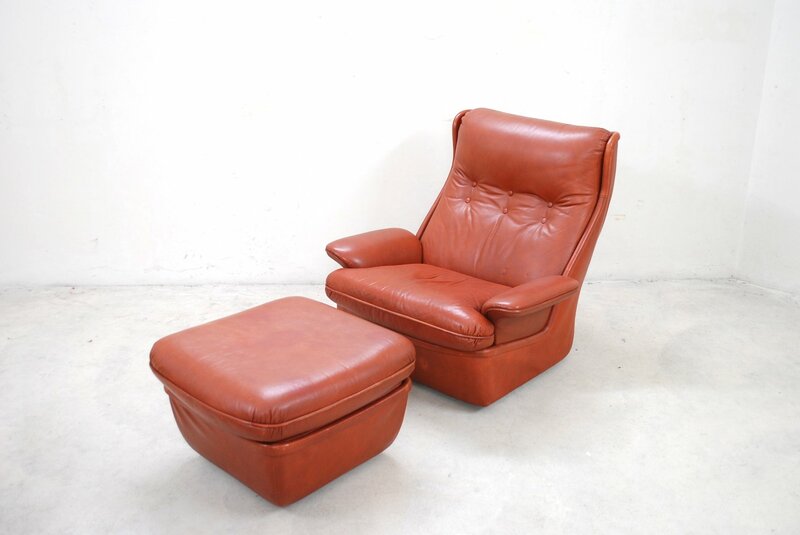 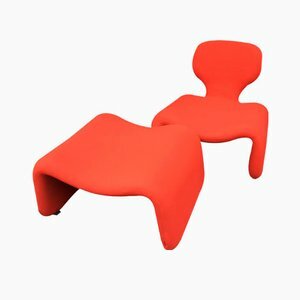 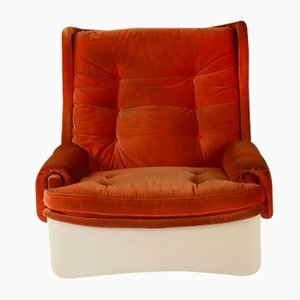 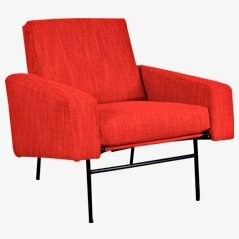 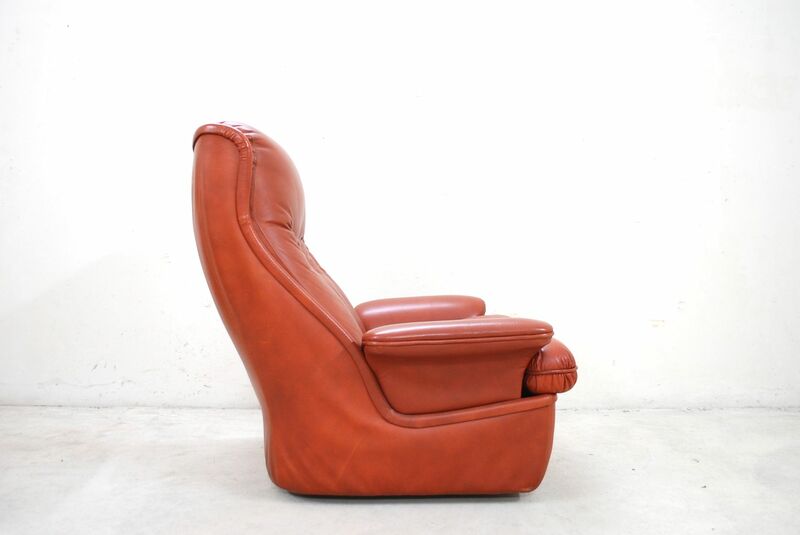 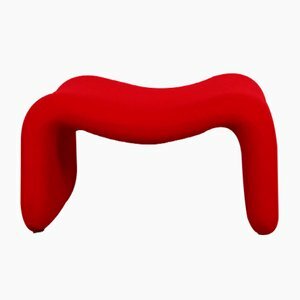 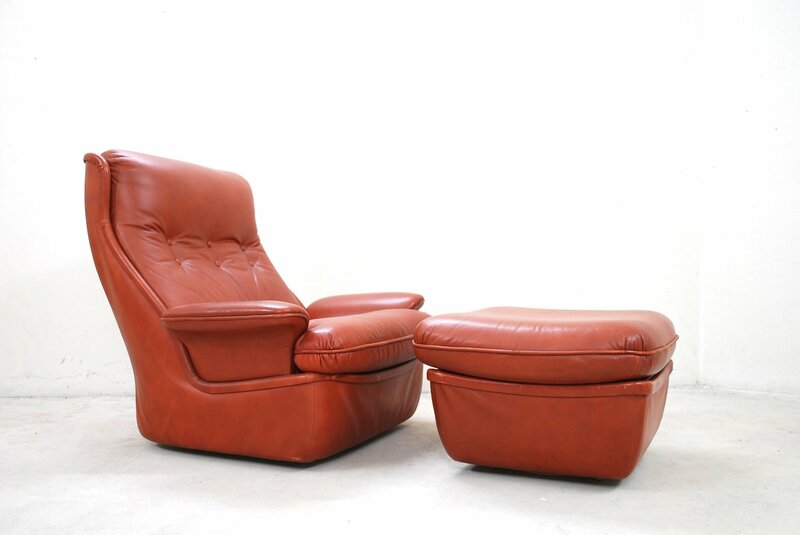 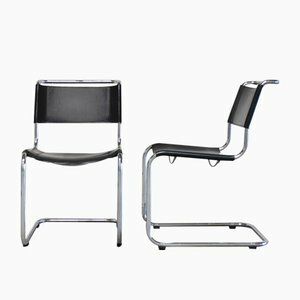 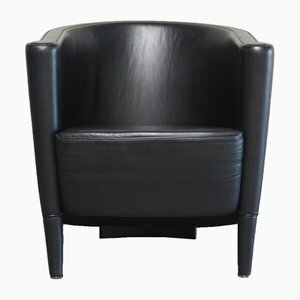 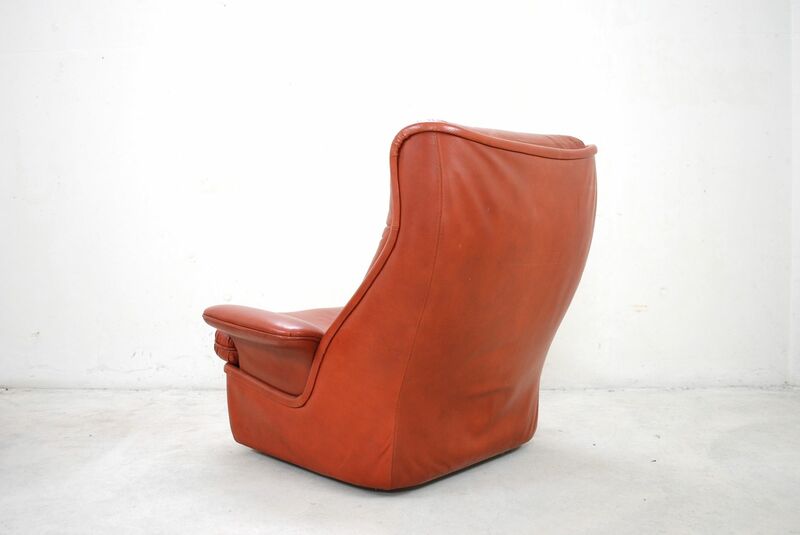 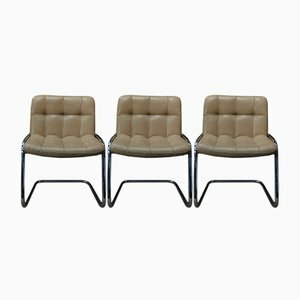 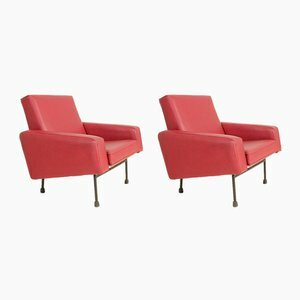 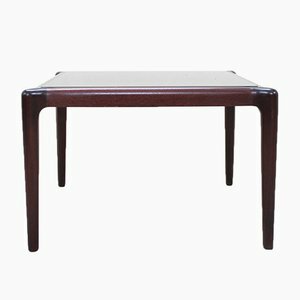 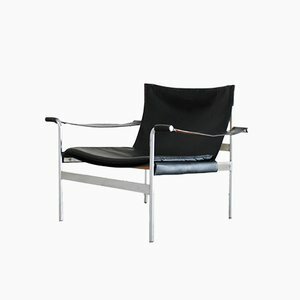 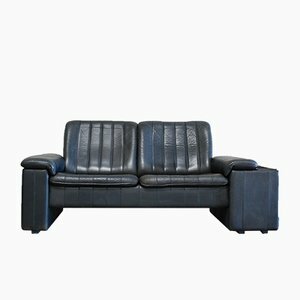 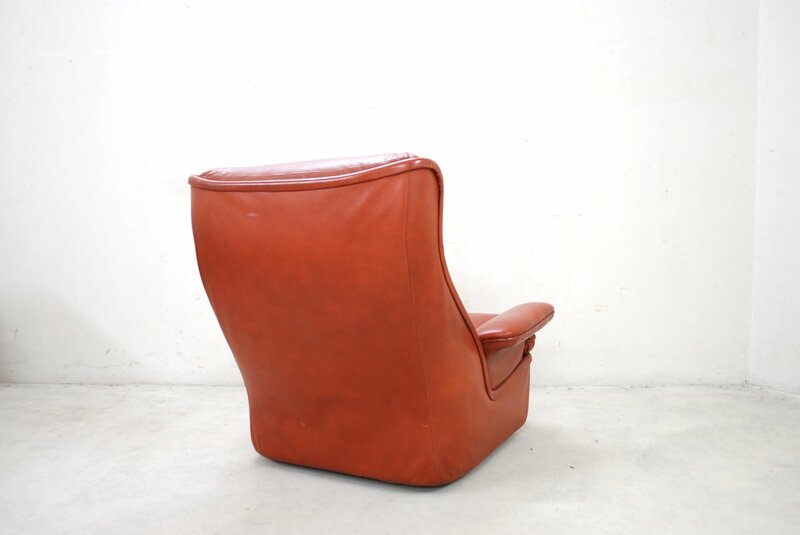 It is upholstered in soft red aniline leather and features a fiberglass frame with chromed metal casters. 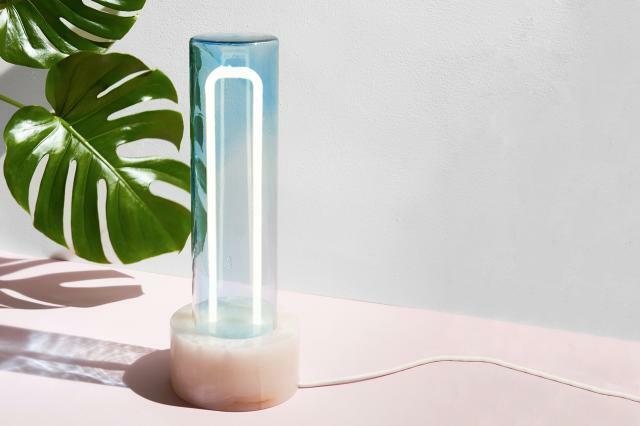 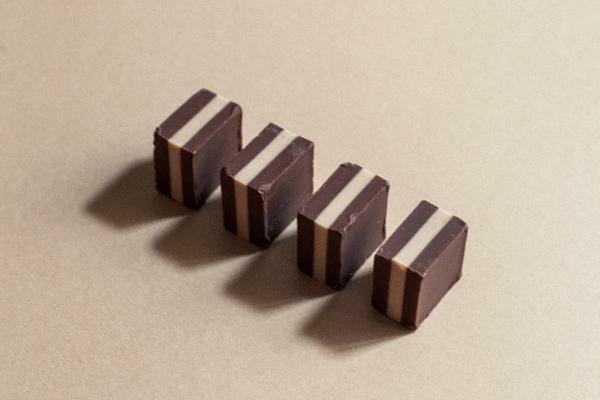 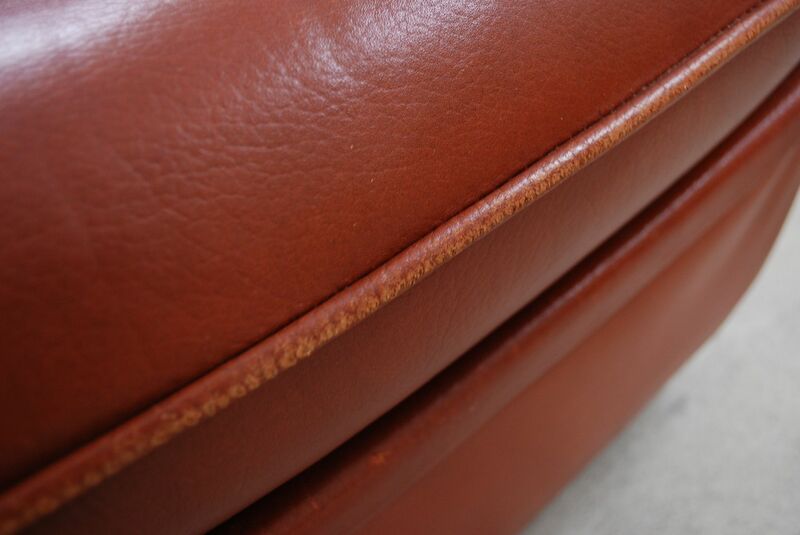 All pieces have a high quality latex filling. 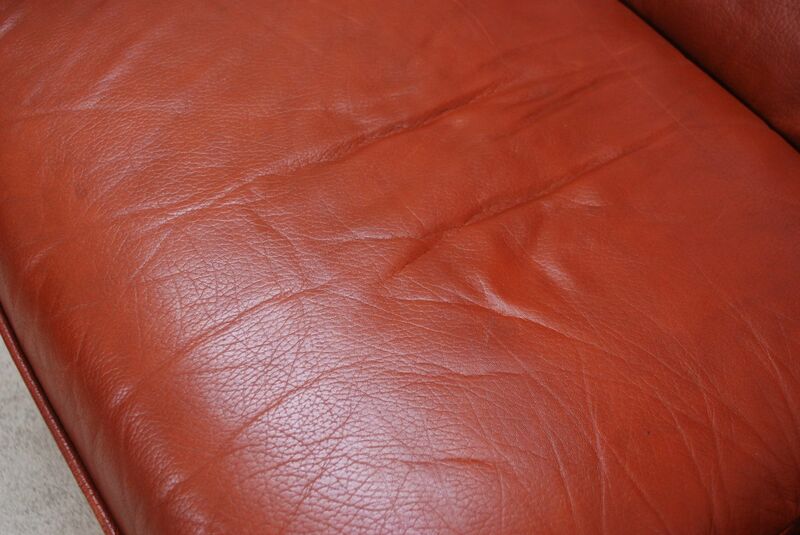 Normal signs of wear. 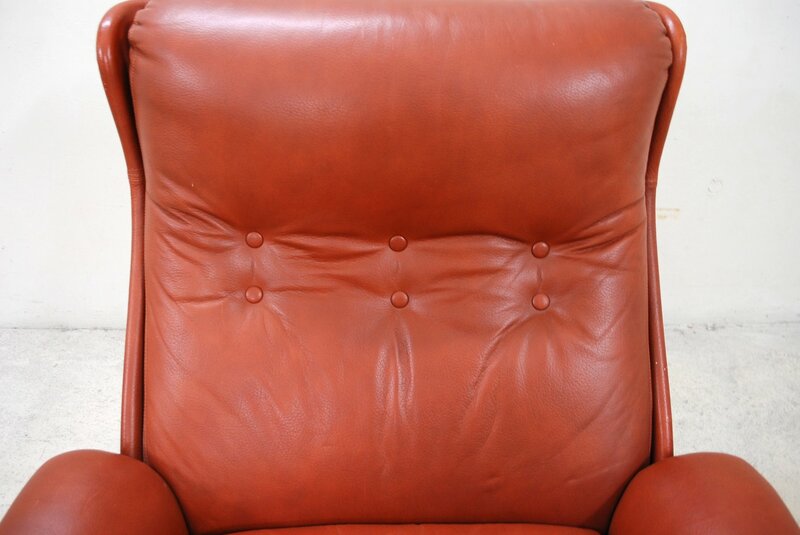 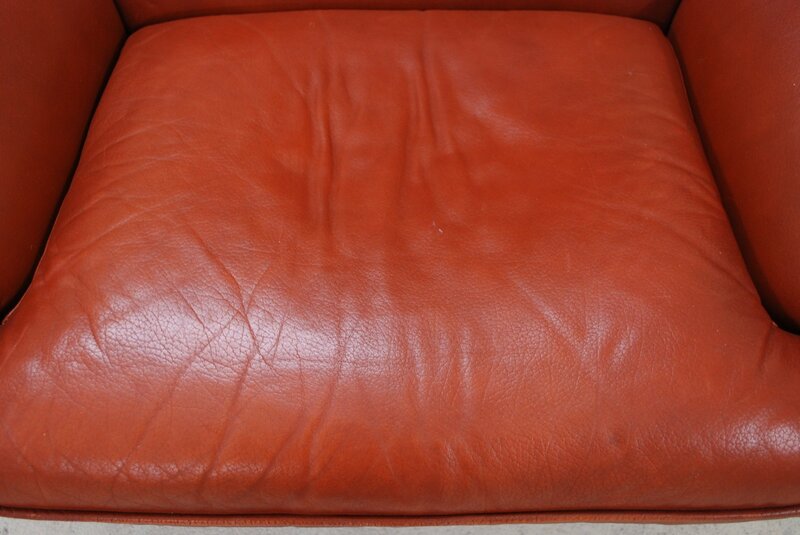 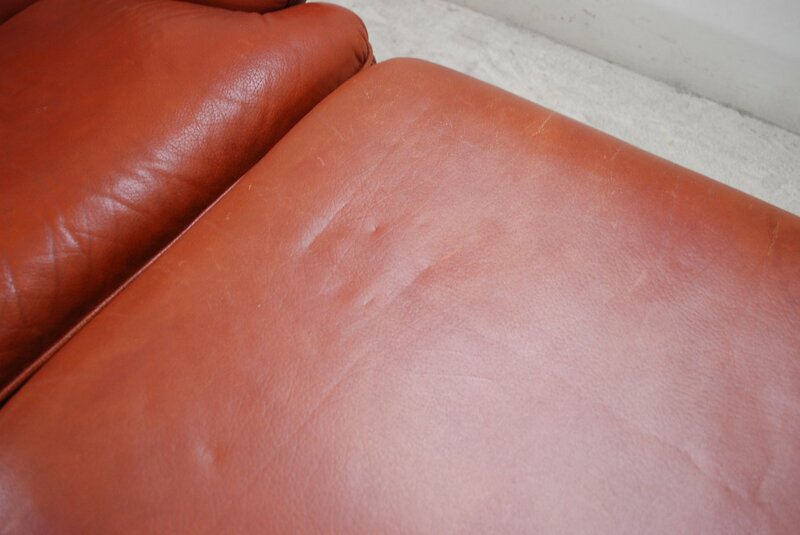 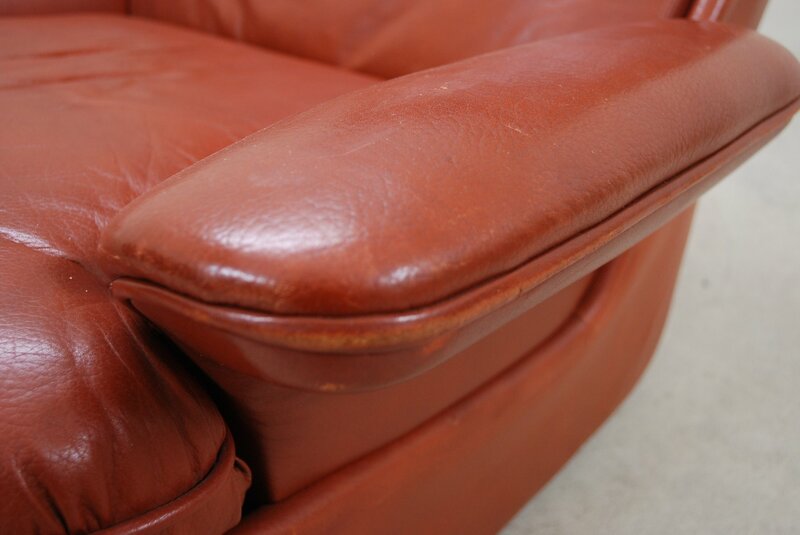 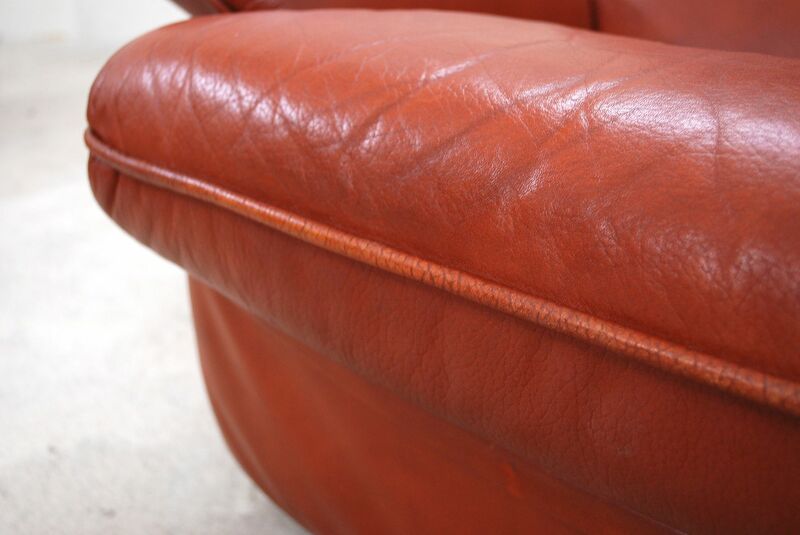 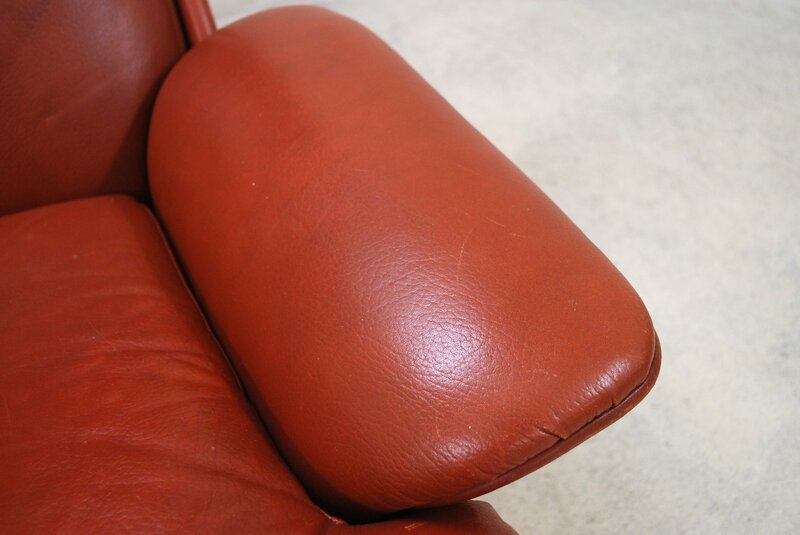 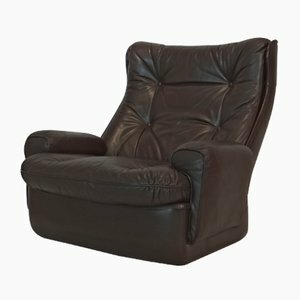 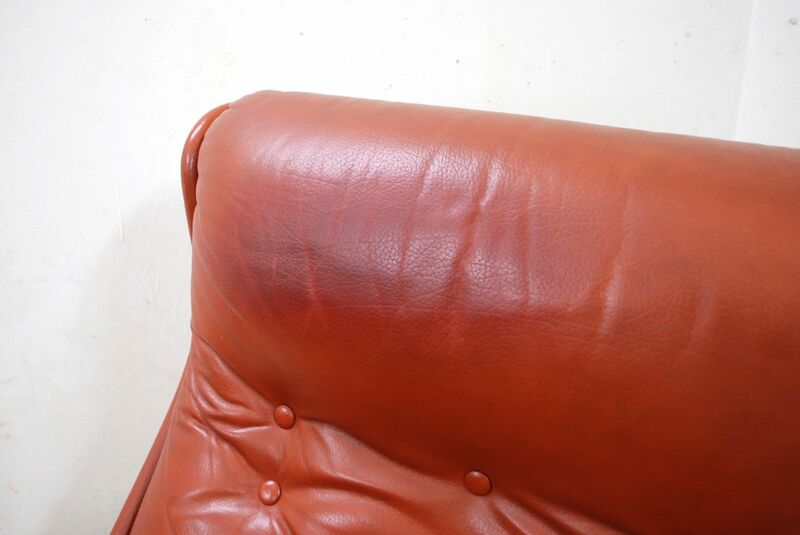 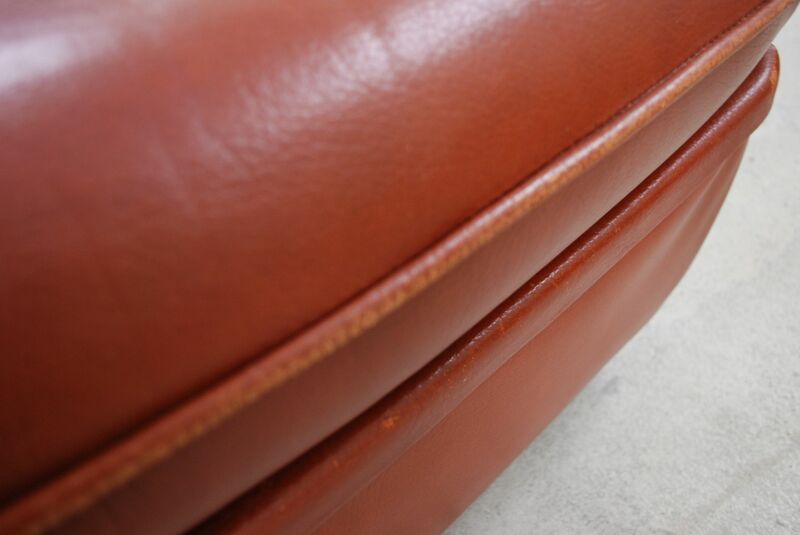 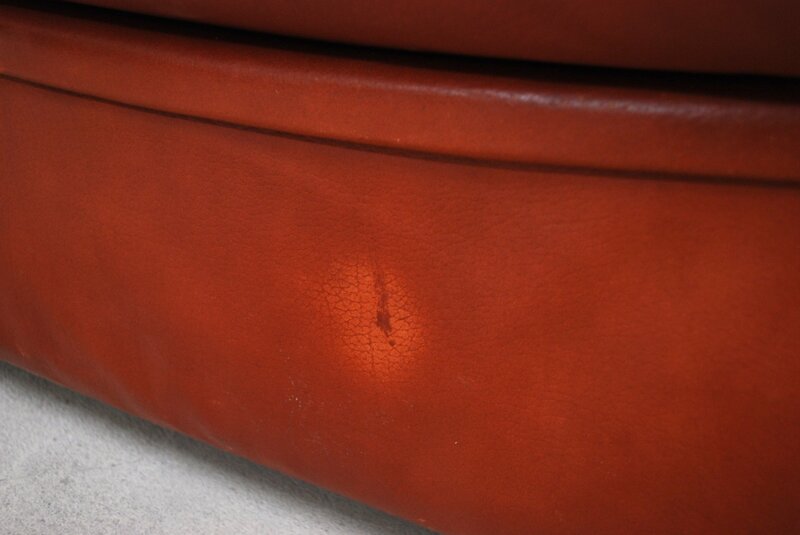 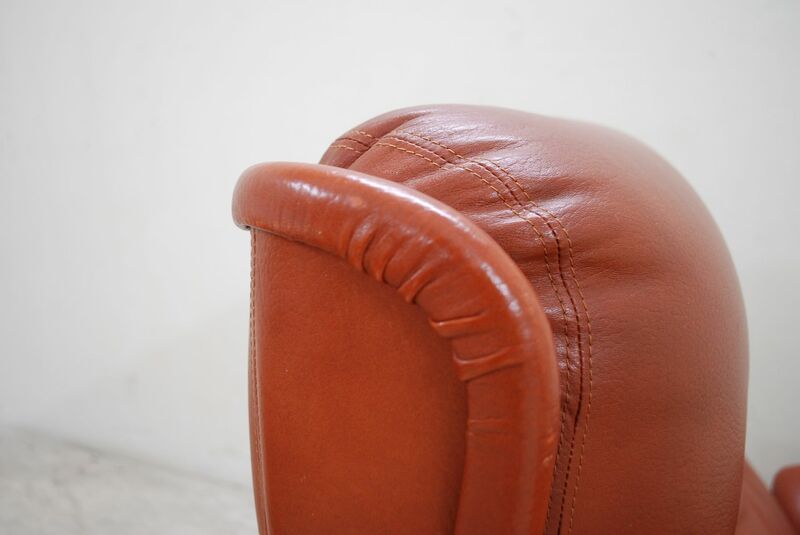 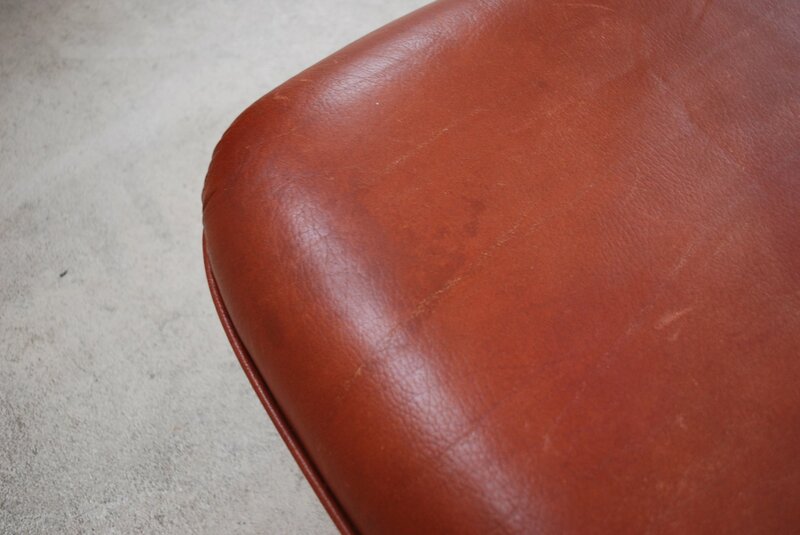 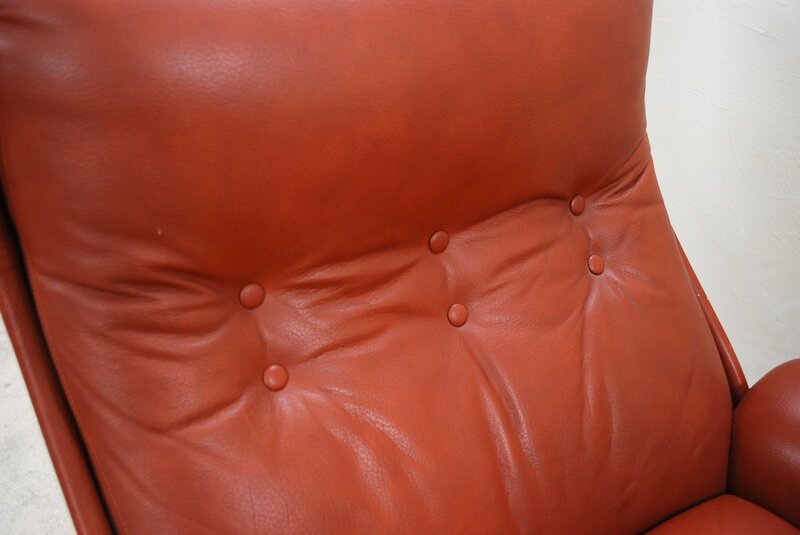 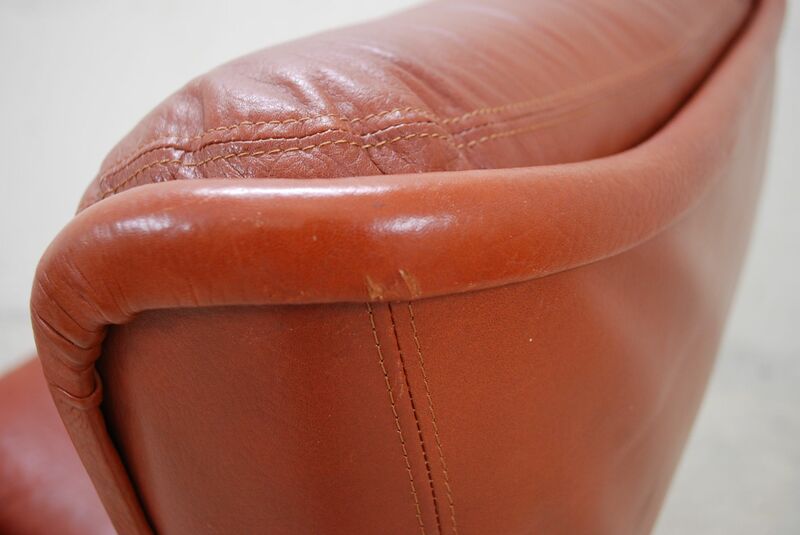 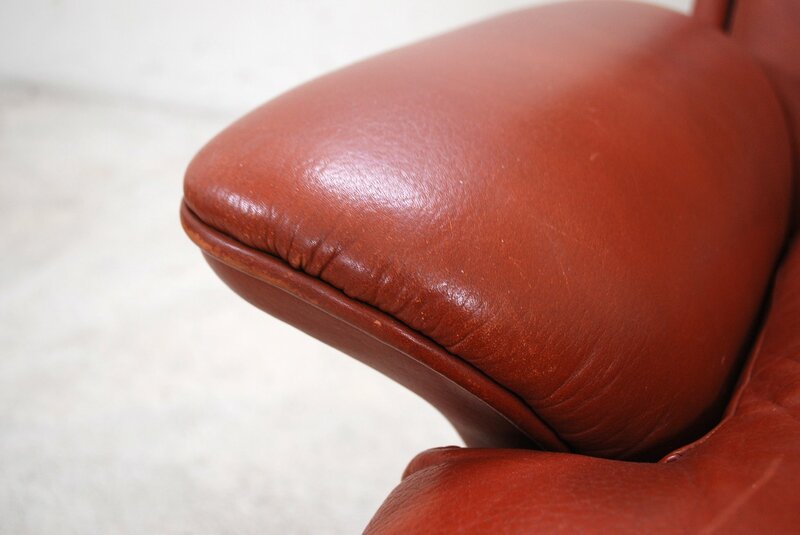 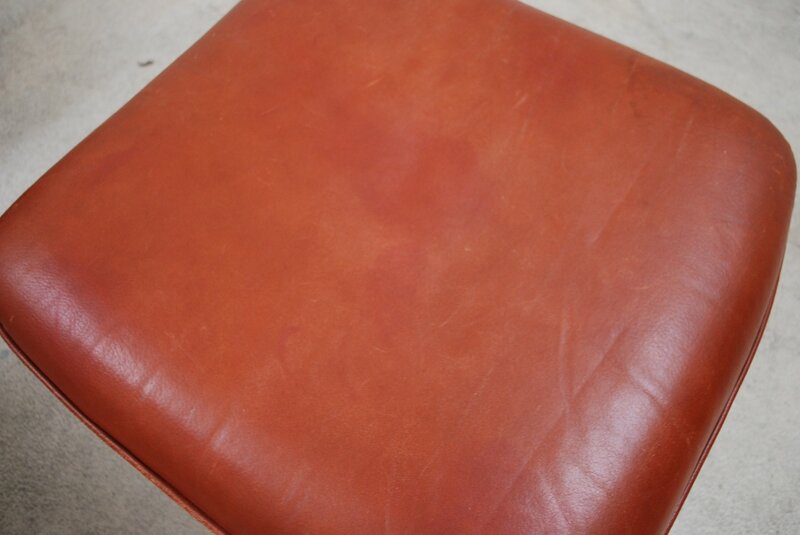 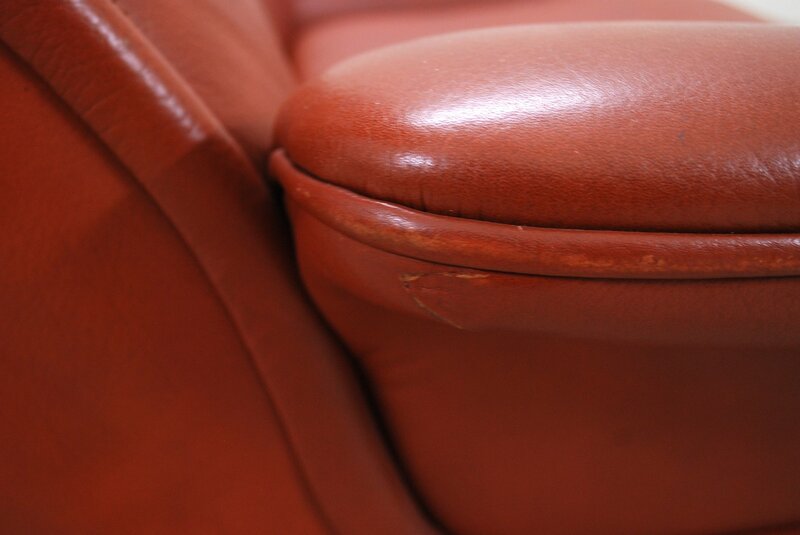 Abrasion to the leather piping on the ottoman, a small tear on the armrest has been repaired (see images).